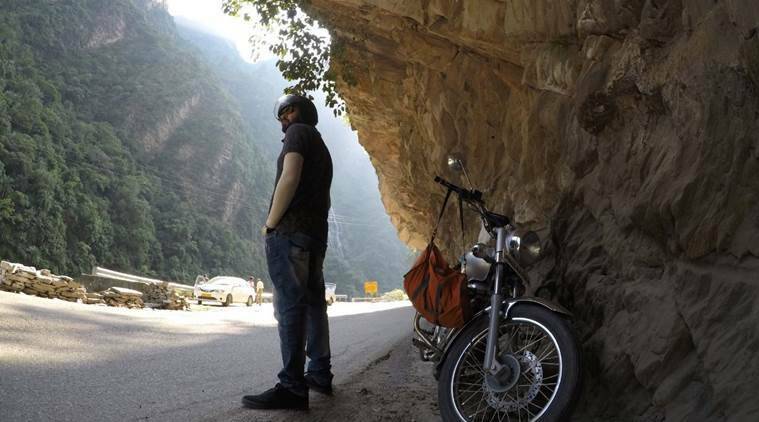 During a family holiday to Manali in Himachal Pradesh as a Class VII student, Ferin Patel saw a group riding motorcycles and approached them, wanting to know more about their bikes. The curiosity for bikes stayed with Patel, who many years later returned to work with a corporate firm in Himachal Pradesh and was inspired again, enough to quit his 9 to 5 job to get into professional bike testing. As a professional who tests bikes, 28-year-old Patel is provided bikes by a leading bike manufacturer before they are introduced into the market to get feedback to enhance performance. “We take the bikes on long runs, riding them for 450-500 km a day on different terrain and then we fill up a Daily Progress Report and send it to the manufacturer. The feedback is on aspects like while using a particular clutch plate, what was the ignition temperature to improve the performance of the bike,” Patel says. Having studied civil engineering, Patel was working as a quality engineer in a firm and was also part of biking clubs as a hobby. “Six years ago, I lost my parents. It prompted me to leave my job. I had a reasonable saving and so I gave up my job. At the biking club I was a part of, I was introduced to bike testing. The manufacturer also trained me in how it is done,” Patel says. He says as a bike tester, he has to ensure a good physique, including a fit lower back for the long hours on the road. Among the skills required are getting on difficult tracks, going full throttle and basic understanding of how a bike is repaired if it breaks down. Patel says his job allows him to meet other professionals, who have discussions on bikes, as well as newer engines and technologies entering the market. Apart from testing, Patel also works on customising bikes for various uses, including off-roading and drifting, where the front wheel is moved in the opposite direction to the bike’s movement, skills practised by professional bikers. Patel says after having worked in this profession, he plans to continue full-time. His next plan is to come up with an academy along with his friends, where youngsters will be trained for riding bikes.